Travel certainly isn’t getting any cheaper. When you find free attractions touted as among the best in an area by guidebooks, they’re worth checking out. I visited the Olympic Training Site, near downtown Colorado Springs, because of its role as flagship training center for the U.S. Olympic Committee as well as national headquarters for USA Swimming and USA Shooting. The United States Olympics Committee headquarters is also located in downtown Colorado Springs. The tour starts with a 12-minute movie, at the visitor center, that’s all footage about recent Olympics and Paralympics, including Sochi. It contains no narration nor has any shots of athletes training at this complex. As for the tour’s remaining forty minutes, it felt a little rushed with minimum time spent at several buildings. Along your walk, observe cutouts of sports figures in various athletic poses. We learned from our guide that the Olympic Shooting Center is the largest shooting facility in the Western Hemisphere and third largest in the world. It contains a variety of facilities for rifle and pistol shooting, rapid-fire pistol and women’s sports pistol, as well as running target rifle ranges. I noticed one athlete pistol shooting. The Aquatics Center contains a 50-by-25 meter swimming pool containing 910,000 gallons of water. It has 10 fifty meter lanes and 20 twenty-five-meter lanes. Its overhead catwalk and underwater cameras assist trainers by filming athletes. The pool was busy with fourteen swimmers speedily swimming laps. Behind the Aquatics Center are the dormitories. 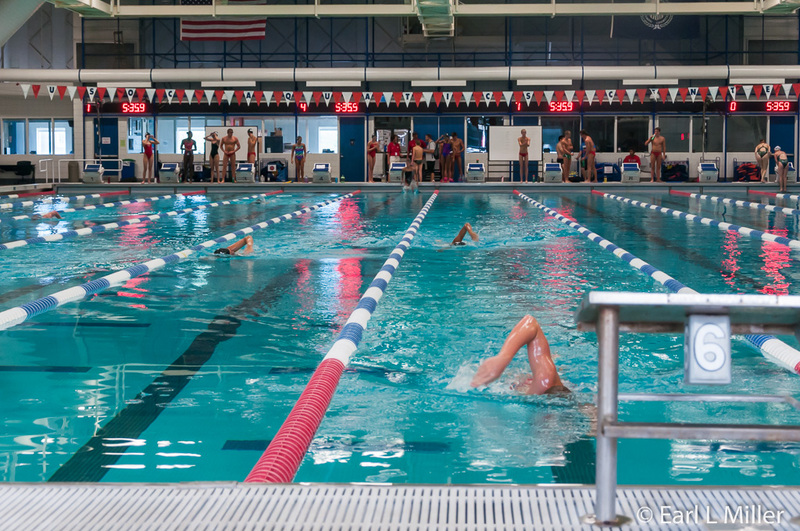 According to our guide, as many as 150 athletes stay on campus, with the busiest time being summer. Some stay for three to six weeks while others reside here for much longer terms. Depending on the sport, athletes receive between 2,000 and 10,000 calories daily in their meals. The tour also included a visit to one of two Sports Complexes. It featured six gymnasiums. Each building accommodates Olympic, Paralympic, and Pan American sports. These range from volleyball and basketball to team handball and archery. Paralympic athletes train in goalball, wheelchair basketball and sitting volleyball. 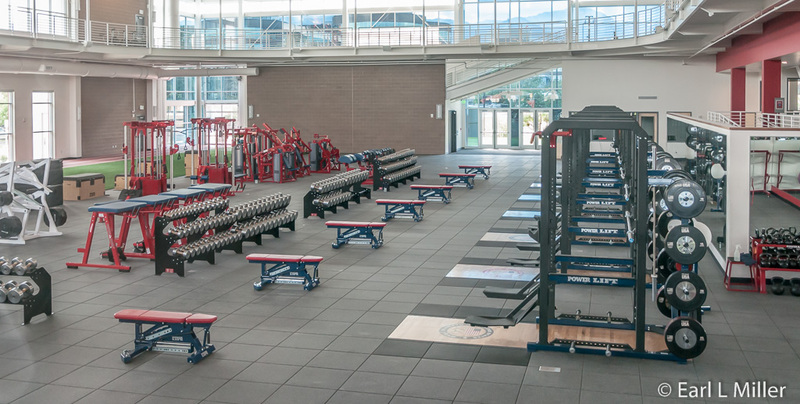 Our final stop was the new Strength and Conditioning Facility which opened in April 2014. It has a 130-meter track, an incline platform, and pull sleds. We learned the silver weights are lined with copper as a bacterial preventive. This building seems to have replaced visiting the Sports Medicine Complex which I toured in 2012. Back at the visitor center, you can visit the Hall of Fame. I found while earlier years had placards annually, the Hall of Fame missed half the years since 2004. Even those years represented, starting with 2004, lacked information such as in which Olympics an athlete participated. The most interesting display at the center was a mockup of Greece’s Olympic Games between 776-600 BCE. It had 1200 figures representing athletes, judges, and spectators. You can take a tour each half hour, except for noon, Monday to Saturday, from 9:00 a.m. to 4:30 p.m. 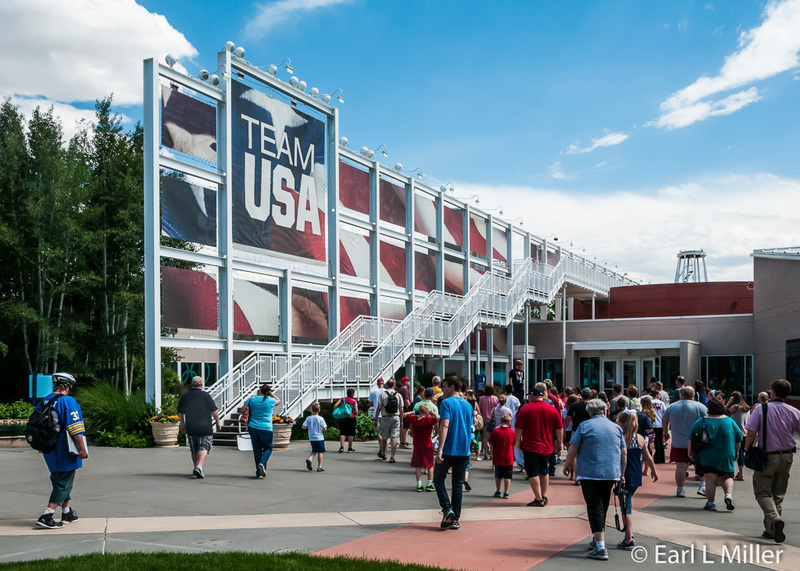 The U.S. Olympic Shop and Visitor Center are open during this time. On Sundays, the shop and center are open but no guided tours are provided. Their address is 1750 E Boulder Street and their telephone number is (719) 866-4618. Admission is free. Having visited the superb Colorado Springs Pioneers Museum in 2012 (See July 5, 2012 article), I looked forward to a return visit this year. The museum is located in what was the El Paso County Courthouse from 1903-1973. 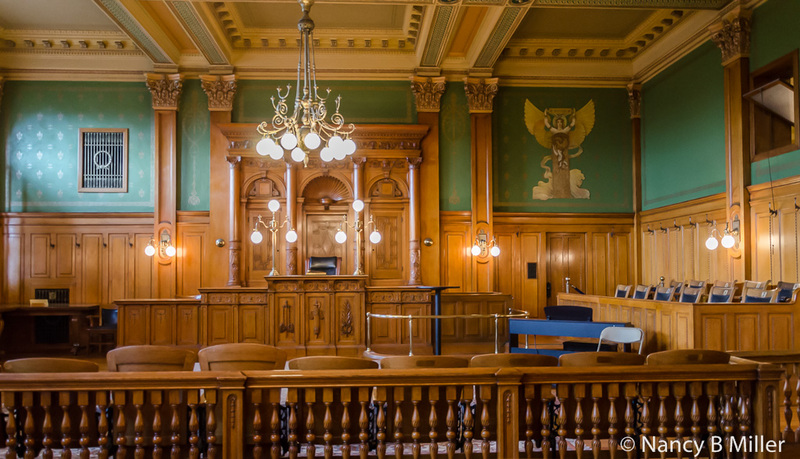 Of interest to Raymond Burr fans is that the third floor courtroom was used in some of the “Perry Mason” episodes. This is one of my favorite city history museums because of the breadth and quality of exhibits. 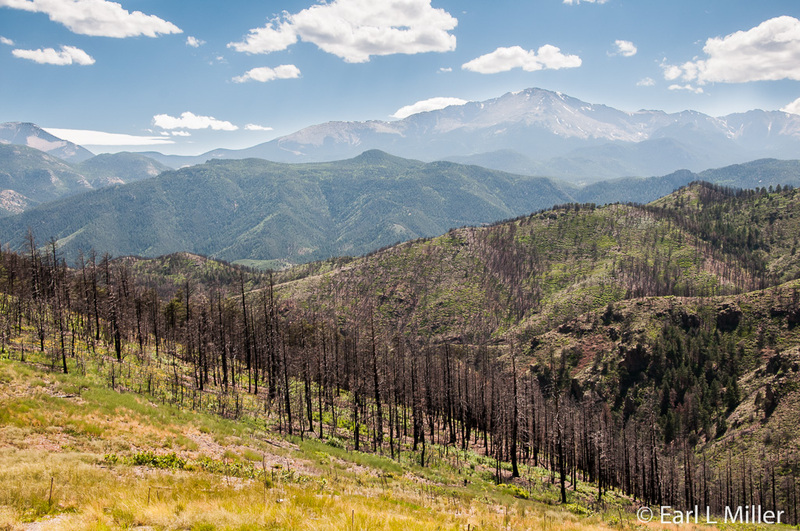 Its purpose is to portray the history and culture of the Pikes Peak region. In a small room, on the second floor, you can see a large collection of pottery from the Van Briggle factory. They specialized in a matte finish and an art nouveau style featuring the colors and plants found in Colorado. They were a major pottery manufacturer in Colorado until their closure in 2012. Earl revisited the exhibit “Behind the Lens: Photographers of the Pikes Peak Region.” It tells in words and via artifacts, the history of photography from early times to the present. It has everything from stereoscopes to old Nikons and Leicas. He reported the display has not changed since 2012. We then rode the 1913 Otis Elevator to see other permanent exhibits on the third floor. This is where the museum has displays on those who settled this area - the farmers and miners. You’ll see the early tools of doctors and dentists, find out what an early pharmacy was like, discover the mineral springs of Manitou, and learn how TB, so prevalent in this area in the early 1900's, was treated. At the “Cultural Crossroads” exhibit, you’ll see beautiful examples of Native American beadwork, clothing, and baskets representing more than 30 nations. Also, on this floor, learn about Helen Hunt Jackson, a writer, who lived between 1830 and 1885. She was well known for her writings about injustices to the American Indians. Her best-known book, Ramona, reprinted 300 times. Her Colorado Springs home was torn down in 1961. 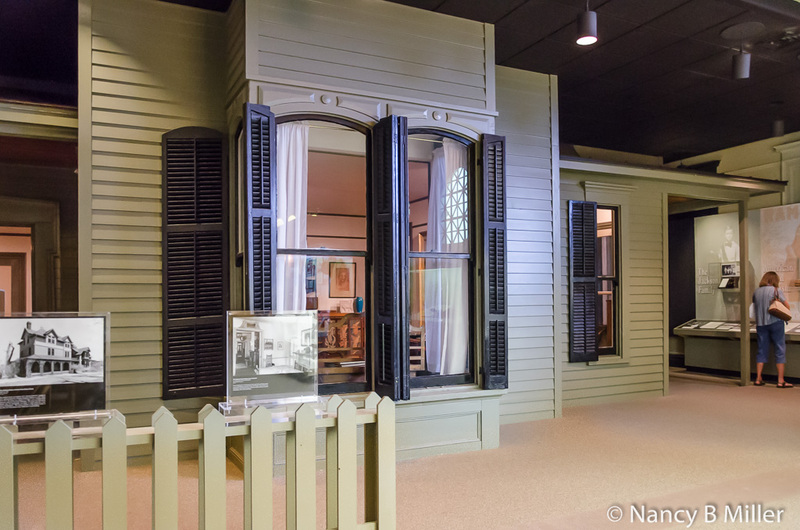 Part of the exterior along with three rooms of her furnishings were saved. You can visit them on this floor. My favorite permanent exhibit is “One Man and His Vision: General William Jackson Palmer.” I particularly enjoyed seeing so many Palmer artifacts. In a case dedicated to him and his family are Queen Palmer’s wedding ring, his dress uniform coat, his gold watch, and his Medal of Honor. I also saw portraits of the Palmers, photos of the family, and an old Denver and Rio Grande brochure. From photos to artifacts, this exhibit, running from June through December, is a must see. You can view Penrose’s revolver and Tutt’s Winchester rifle; stock certificates from their C.O.D. mine whose sale financed their other ventures; and portraits of the two men. There is a case of the Tutt's crystals, china, and costumes he used at parties. Look for Julie Penrose’s dress and hunting jacket and pants as well as a model of Spec's polo pony. Also present are Spec’s travel valise, leather jacket, and silver flask. He spent hundreds of thousands to fight against Prohibition. Spec used a glass eye, and one of these is at the exhibit. He had two different ones made so he could match his other eye at all times. One was clear for morning use. The other was bloodshot for evening times. Causing two deaths, it destroyed 346 homes in the Mountain Shadow development; 200 of these have been rebuilt. It also burned down the major historic attraction, the Flying W Ranch, yet to be replaced. Built in 1953, Flying W was known for its chuckwagon dinners and entertainment. The exhibit has placards about the fire. One case has such destroyed items as Spode dinnerware, a tailgate, a 35-mm camera, and a glass lamp shade. Another contains burned and bent golf clubs, and a broken Christmas ornament. Surprisingly, an American flag and a statue of Jesus, Mary, and Joseph were in good shape. You’ll find goods of children in a third case such as a rug which had an outline from a charred toy on it and a toy bank with a burnt U.S. dollar bill. 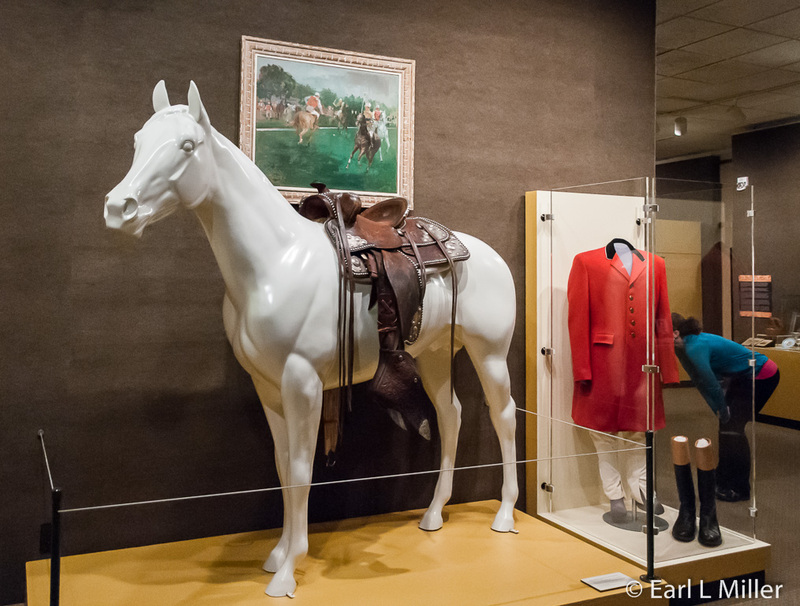 One part of this exhibit relates what happened to horses, dogs, and cats during the fire. The Humane Society sheltered 449 dogs and cats. The Flying W had enough time to evacuate horses but not their cattle - 26 cows, 20 calves, and one bull. Most were mainly unscathed, but one cow was badly burned. That cow gave birth 10/6/12 to a white bull which the ranch named Waldo. El Paso County Animal Response Team took 180 horses and two goats to Norris-Penrose Event Center in Colorado Springs, where the annual rodeo is held. Julie Woods, owner of Chinook Winds Riding Stable in Calhan, Colorado took over the care of these animals at the center. She received an award from the Red Cross for her work. Colorado Springs Pioneers Museum is found at 215 S. Tejon Street. Their phone number is 719-385-5990. Hours are Tuesday through Saturday 10:00 a.m to 5:00 p.m. Admission is free. You’ll find metered parking in front of the museum with a limit of two hours. For Saturday visitors, all-day parking is available for $1 at the City parking garage directly north of the museum on Nevada Avenue. You might think that TravelAdvisor Readers would pick New York City’s Central Park or Chicago’s Millennium Park as their favorite city park. 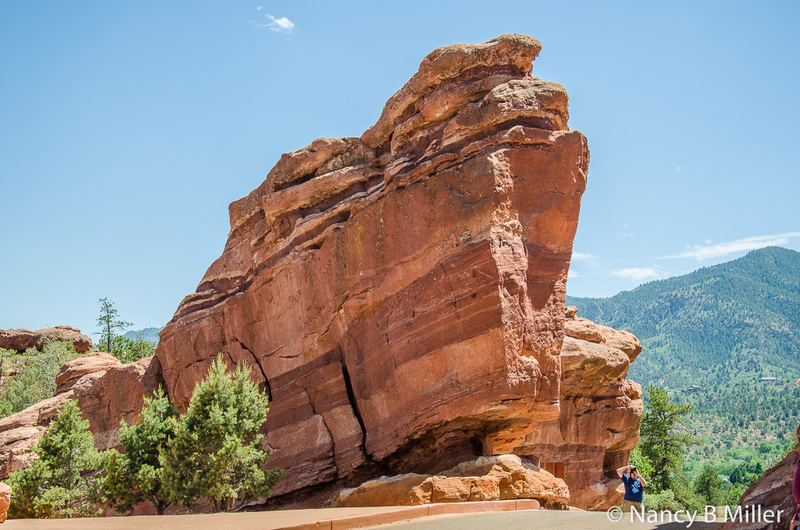 But according to the Colorado Springs Gazette (June 24, 2014 edition), Garden of the Gods was their number one choice in the country and number two internationally. Stanley Park was number one in the world. It’s the park’s magnificent red sandstone rock formations, seen over 1300 acres, which have given it worldwide fame. These were created over a period of 300 million years by periods of mountain building and the erosive factors of wind and water. 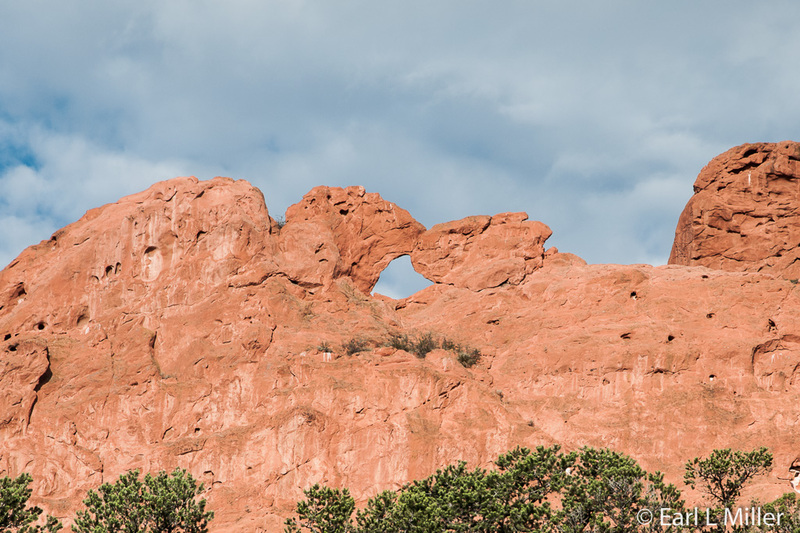 As you drive through, you’ll notice why formations have various names ranging from The Three Graces to Balance Rock. You’ll also spot the diverse species of plants and animals. On my last trip through, I was fortunate enough to see bighorn sheep standing on one of the peaks. In 1972, the Secretary of the Interior designated Garden of the Gods as a National Natural Landmark. Start your trip to this attraction at the Garden of the Gods Visitor & Nature Center, located just outside the park. Stop at the second floor information kiosk to pick up a map showing the location of the various formations. Remember to ask for the guide containing the park’s social and geological timelines, comprehensive information on its flora and fauna, and detailed listing of the many biking and hiking trails. Head outside on the second floor for a great view of Kissing Camels, the park’s most famous formation. In an interview with Dolores Davis, Community Relations Coordinator, Garden of the Gods Visitor & Nature Center, I learned about the renovated and expanded visitor & nature center planned to open May 15, 2015. It will contain a new exhibit hall with more interactive, technological displays for all ages. They will cover Native Americans, wildlife, and geology. Staff is also replacing their current 14-minute film “How Did Those Red Rocks Get There,” building a new staircase, and renovating the restrooms. Both the visitor & nature center and the Garden of the Gods Trading Post provide cafes and offer a variety of souvenirs to purchase. I found the prices high. For example, a hot dog at the Trading Post costs $4.25. With a side of fries, cole slaw, or potato salad, it’s $5.75. We have found driving throughout the park is the best way to see it. However, be aware that parking is tight. Come before 10:00 a.m. or after 2:00 p.m. as lots are often filled in between. For the best photography, consider making two trips. Morning time is best for shooting east facing formations while afternoon is most ideal for the west facing ones. 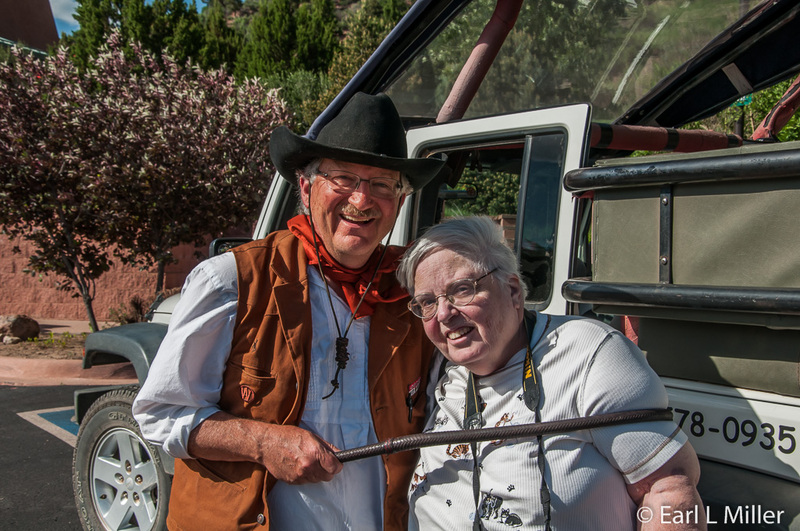 Something to consider taking is one of the three Jeep tours. You can obtain them in front of the visitor & nature center from 9:30 a.m. to 4:30 p.m. The Balanced Rock, covering the Garden, lasts 45-minutes and is $17. The History Tour, for 55-minutes, is $25 and adds Manitou Springs. The most comprehensive is Rampart Range, which adds, to the rest Rampart Road, a forest road which goes into the Waldo Burn area in the mountains. We chose the Rampart Range tour. It was supposed to last an hour-and-a-half but actually lasted more than two hours. Our guide was Mike Stevens, also known as “Whipper.” He was very familiar with the area and has a second career - portraying Spencer Penrose in area dramatizations. With my fascination with Penrose, it certainly added to my enjoyment. Whipper provided complete information about the area’s sociological and geological history. He paused in front of each of the formations so we could take photographs. His knowledge about the Waldo Canyon Fire was outstanding. We learned how the fire proceeded. Whipper pointed out a white scar on the mountain which had been a gypsum quarry. That gypsum was used to construct buildings at the Air Force Academy. The scar prevented the fire from causing even worse damage. On the tour’s coverage of Manitou Springs, we learned the mineral springs had seven different tastes. Whipper asked if we wanted to try one of them. We did so he brought some mineral water back to the Jeep for us to try. The tour of this artsy crafty, New Age small town included riding past the cog railroad depot and Miramont Castle, a huge, European style castle, you can tour. We also learned why Garden of the Gods has free admission. In 1879, Charles Elliot Perkins, an Iowa railroad builder, purchased 240 acres of Garden of the Gods. He left the property open to the public and eventually purchased another 240 acres. In 1909, Perkins died and his children deeded his 480 acres as a park, open to the public free of charge, forever. 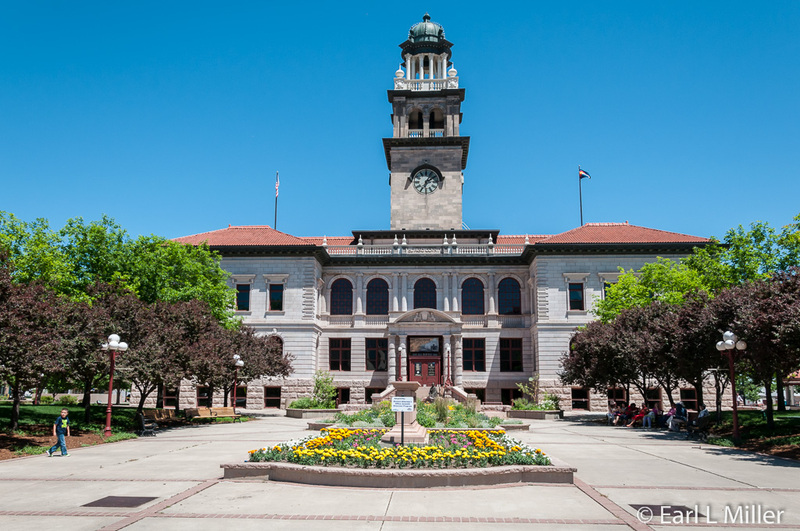 It is now owned by the city of Colorado Springs. The year 1924 was the last time rugby was offered in the Olympics. The United States won the gold. The sport will be reintroduced in the 2016 Olympics.